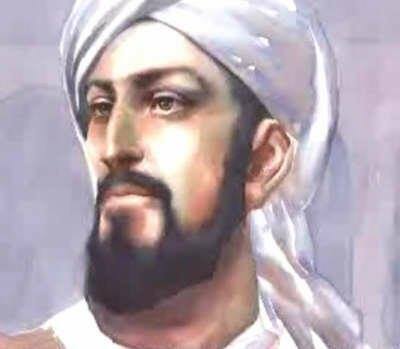 Al-Jazari was an inventor, a mathematician, a mechanical engineer and a skilled craftsmen; another brilliant scientist of the Muslim Golden Era. He lived in Al-Jazira, a place between the Tigris and the Euphrates in Mesopotamia and is named after his city (the city of Jazirat ibn Umar) in the 12th and 13th centuries. He followed in his father’s footsteps and served as a Mechanical Engineer for the Artuqid Kings of Diyar-e-Akber. What sets Al-Jazari apart from many other scientists and inventors was his skill in constructing devices. He didn’t just write instructions or make inventions; he implemented them in his devices. 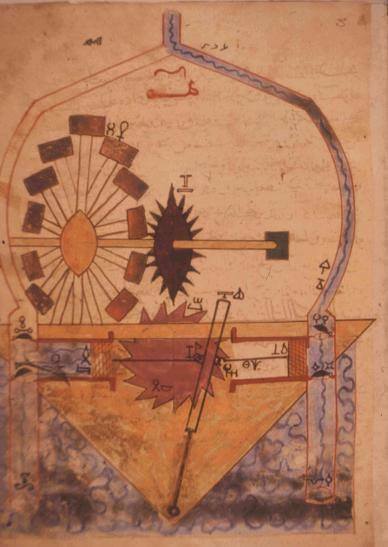 Many of his designs were in his book “al-Jāmiʿ bain al-ʿilm wa al-ʿamal al-nāfiʿ fī ṣināʿat al-ḥiyal” (The Book of Knowledge of Ingenious Mechanical Devices). This book was a comprehensive one in terms of the details of the designs. His personal experience in constructing these devices led to practical and efficient designs. Many of the books of those times were written by scientists who weren’t craftsmen. And those who were craftsmen didn’t know how to write. Al-Jazari was a proficient engineer and a skilled craftsman which makes him stand out. Al-Jazari described about 100 mechanical devices in his book. These contained water clocks, water raising machines, water supply system, chain pumps, segmental gears and mechanical controls etc. Many of his designs were constructed by other craftsmen during his life and after his death too. His designs, unlike those of other inventors of his time, were detailed and comprehensively explained and could be easily built. His book The Book of Knowledge of Ingenious Mechanical Devices was translated into English in 1974, some seven centuries after his death. His design of the water clock system was constructed in 1976 by the London Science Museum following the World of Islam Festival as a tribute to his everlasting and incredible influence in the field of mechanics and engineering.